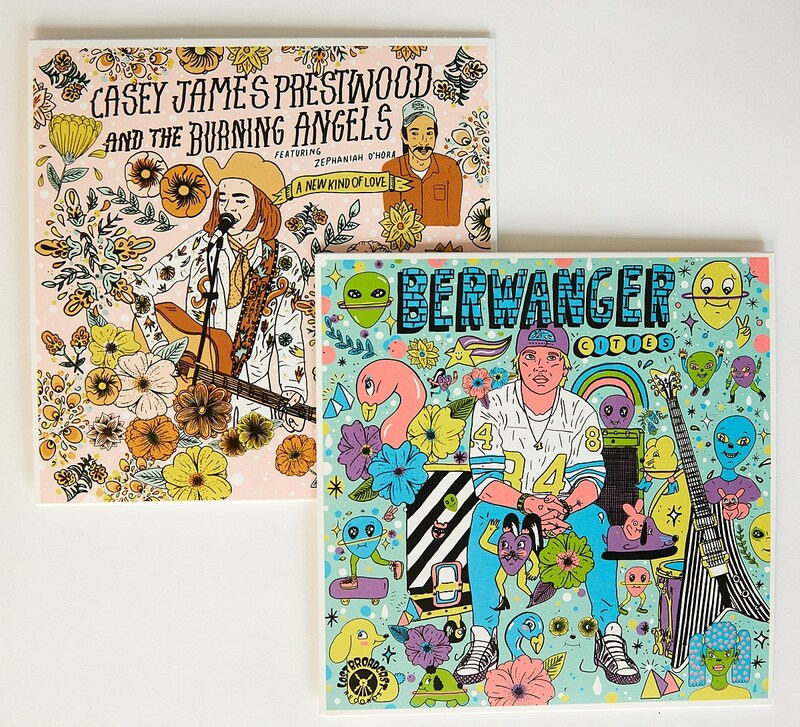 Indie/emo veterans and longtime friends Josh Berwanger (most famously of The Anniversary and more recently of Radar State and a solo artist) and Casey James Prestwood (most famously of Hot Rod Circuit and also a solo artist) are releasing a split 7″ soon via Lost Broadcast Records. Ahead of its release, we’re premiering both songs. Josh Berwanger contributes “Cities,” a power pop/heartland rock anthem that’s like somewhere between Tom Petty and The Cars. And Casey contributes “A New Kind Of Love,” a dose of twangy, melancholic country that features Zephaniah O’Hora. They’re very different songs, but they pair well together and they’re both very worth hearing. Listen below. You can pre-order the album here on black, purple, or pink vinyl, and there’s also a limited edition release signed by both artists, and a “very limited” test pressing of the 7″ available. You can get 10% off using the discount code BrooklynV10 (which works for anything in Lost Broadcast’s webstore). Meanwhile, Berwanger has one upcoming show opening for Shy Boys in their shared hometown of Kansas City on 4/20. Casey is playing a hometown show in Denver on 3/29.